Whilst these numbers are based on European companies, the situation in ANZ is somewhat different. 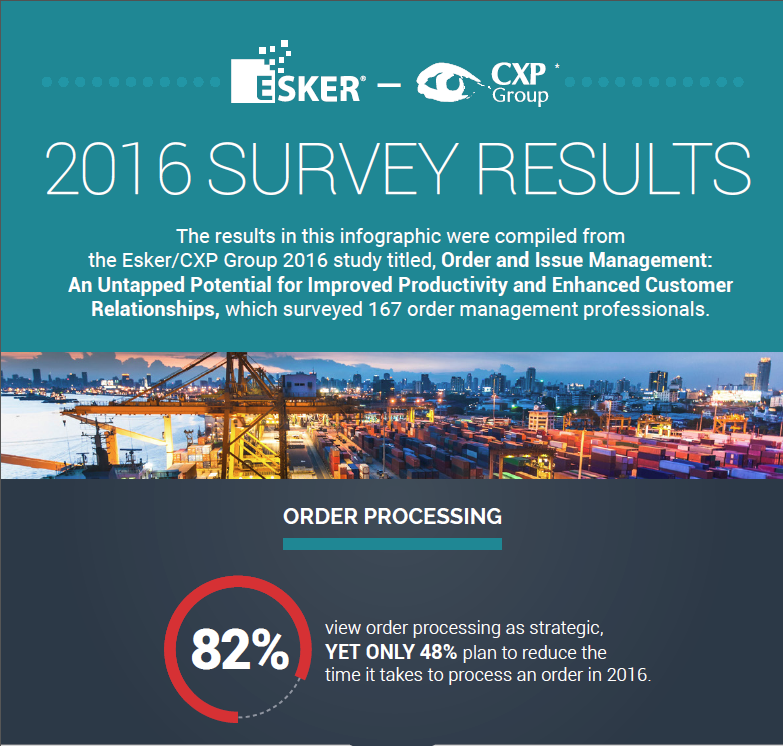 Informal survey numbers, due a greater adoption of EDI and smaller number of orders, show that less than 33% of companies plan to optimise their order processing in 2016 in ANZ. So this is a great opportunity for companies to improve customer experience (‘where is my order?’), reduce labour intensive activities to better focus on customer education, customer cross selling and customer care activities.